Bijoux fait main en argent et en or! 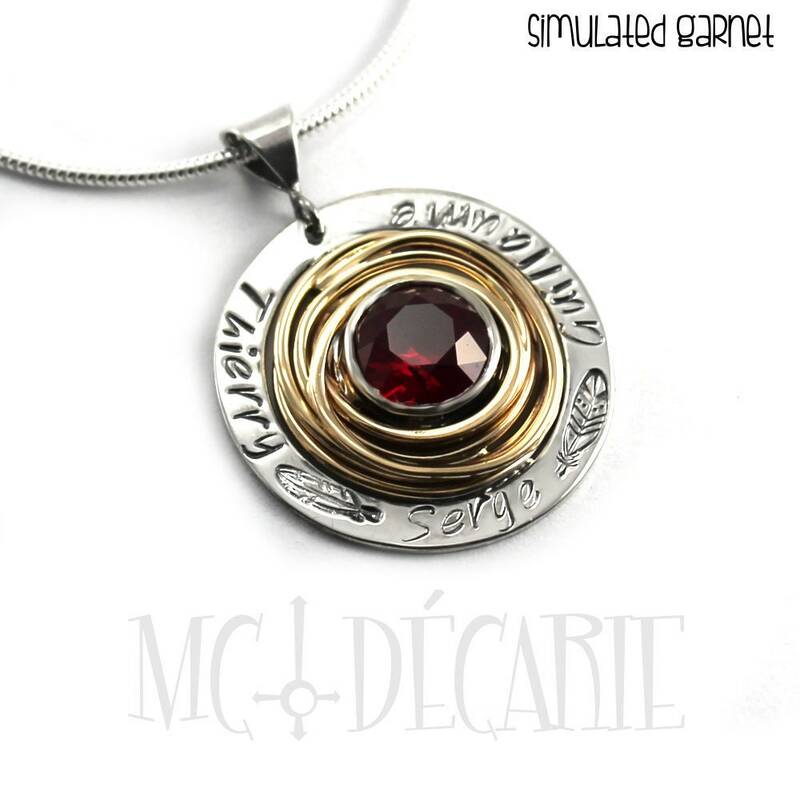 Here’s a personalized necklace, customized with text or coordinates and a stone in the middle. You can personalized it any way you want, with a small sentence or a quote, names or dates. 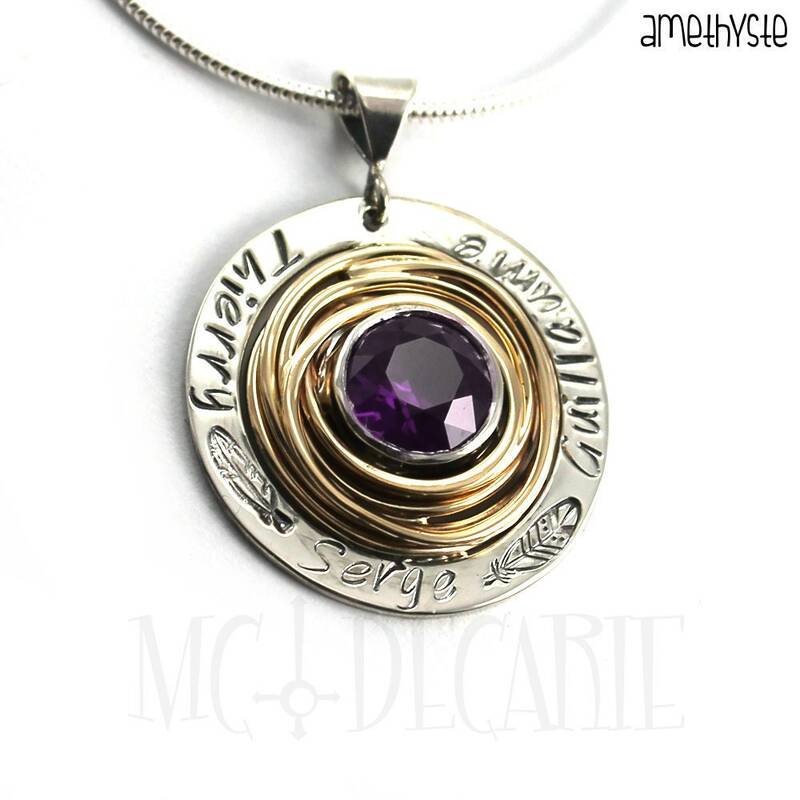 Made of solid sterling silver with a 3mm flat wire to engrave text and a 1mm round wire, wrapped around a round facetted stone in the center. This pendant is available all silver, or with a touch or 10k gold in the center around the pearl. You can choose the stone. Available all silver, silver and yellow gold or silver and rose gold. The pendent can fit about 40 characters on the 3mm wide engraving surface. 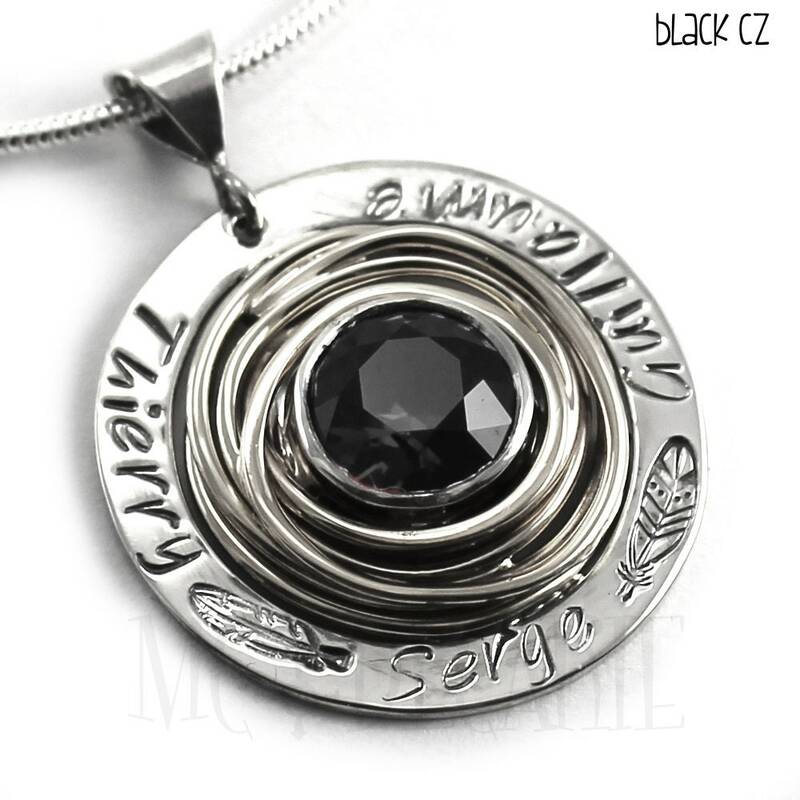 To offer a better service and more choice, I sell the chain separately for this pendant. This way you pay a lower price for your pendant if you already have a chain at home that you can use. You can personalize your pendant with an engraving: a name, a small message, a location in longitude-latitude coordinates or anything you want! Please refer to the listing font picture for those information. 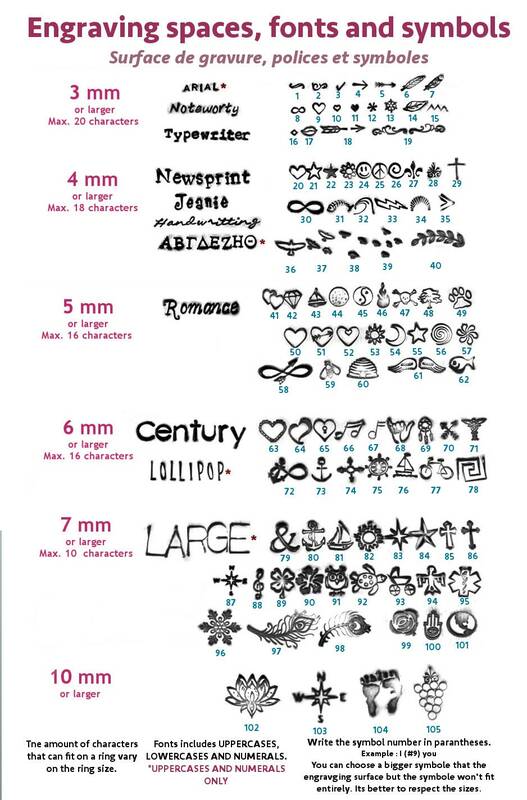 If nothing is specifying about the font I will use the same as on the main picture. Please understand that each letter is stamped separately and might not be perfectly straight, just like the rings showed on this listing. Negative (-) coordinates are South or West longitude/latitude. If you write the coordinates with N S E or W letters you don’t need to add the negative symbol ( - ). You can use ( * ) for ( ° ) symbol I will understand. Between coordinates I usually put a centered dot ( • ), if nothing else is specified I will include it. Please take a minute to read at my policy before your order. Thank you! If you order a ring but the size doesn’t fit, it is always possible to make a ring size adjustment. You can visit your local jewelry shop to have them resize your ring, or you can send it back to us for a re-size. Charges may apply; shipping is at your charges. 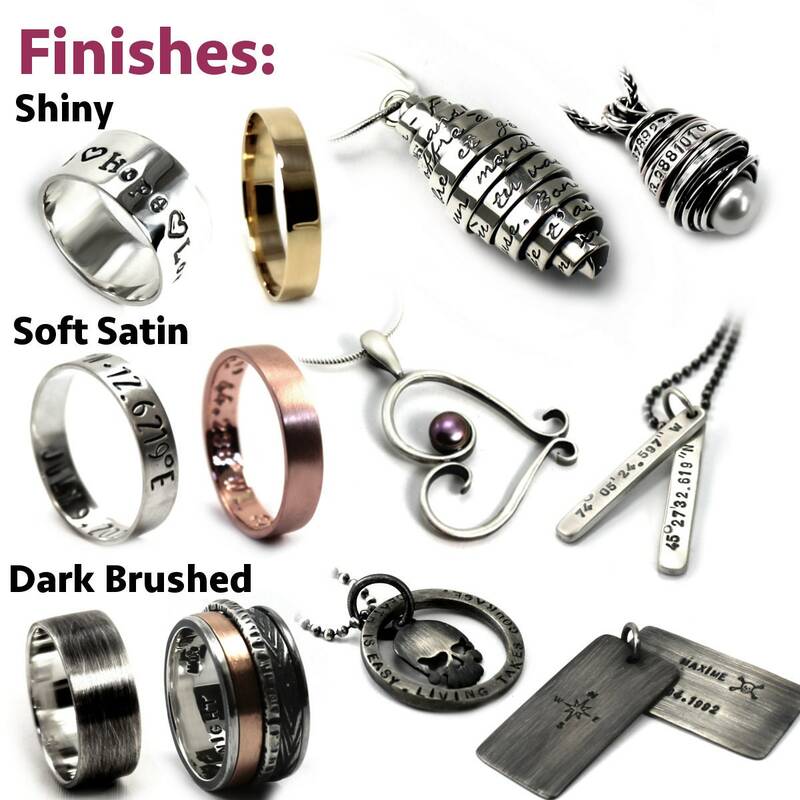 Sterling silver can go yellow or tarnish with time, it is a normal phenomenon when exposed to air. The best way to maintain your jewels clean is to wear them! It will protect their shine and some daily precautions will keep them beautiful and clean longer! 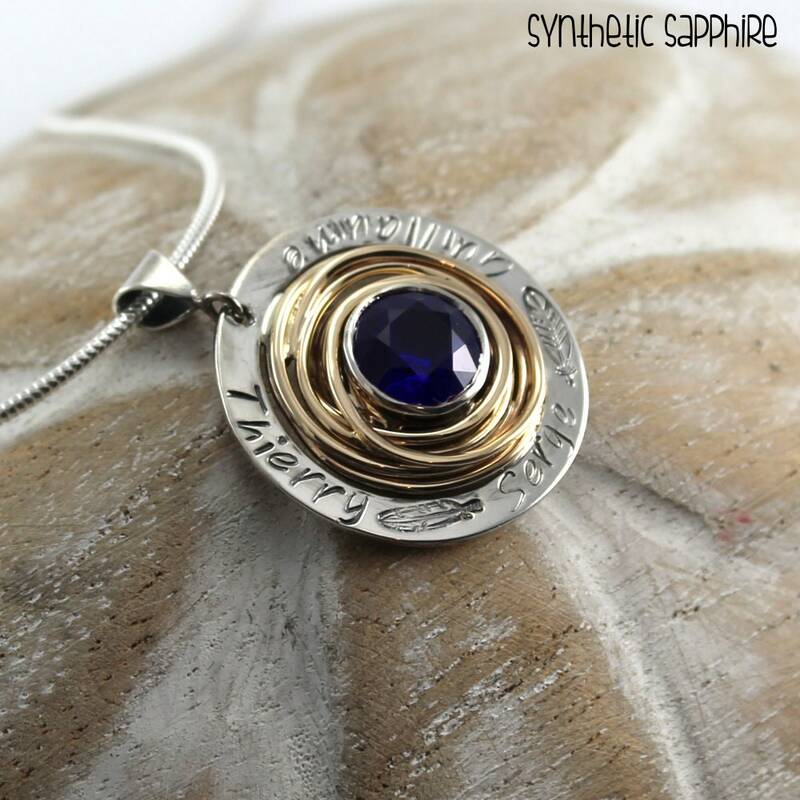 Since most of my sterling silver jewellery is already oxidised you shouldn’t need to do anything special to keep them the way they are. I always include silver care information with the package. I do accept wholesale, please contact me for more information. Every item is delivered in a gift pouch or jewelry box. I do not include invoice since they can be printed from your account, except for France and Germany. Gift package: you can add a note or message with the package, just mention it with the order. It is possible to return an item for a size adjustment. You don’t need to communicate with me before you return it, but you must include the following information with the return: ORDER NUMBER, NEW SIZE and RETURN ADDRESS. Once I receive the package I will send a separate invoice for shipping and size adjustment fee. The fee will vary from 0 to 25% of the item value, because in some case I need to completely re-do the item. We always do our best to meet the manufacturing delay and ship them on time. But once an item is marked as shipped, it is out of our hands. We know shipping delays can occur and are frustrating, but please be patient as they are much more frequent than lost package. Our lost package policy applies only after 30 business days in Canada and USA, 40 business days in other countries. If you haven’t received your package 30 business days after the item was mark as shipped, we will offer to ship a new one at our charges or offer a complete refund. Thank you for your patience.